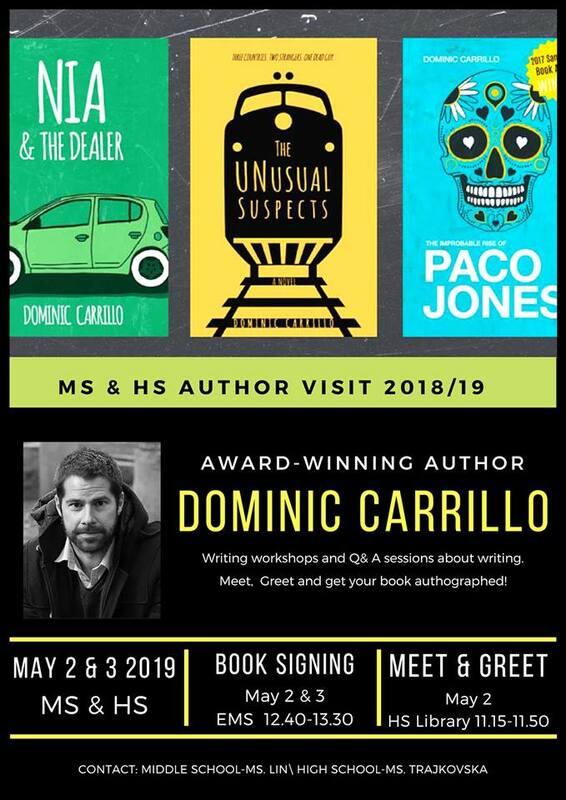 The EMS library cordially shares the wonderful news of award-winning author Dominic Carrillo visiting NOVA again on May 2 and May 3 with his latest YA book Nia and the Dealer (coming out on Amazon in June). NOVA students will have the chance to be among the first readers to get this sequel to The Unusual Suspects and have it autographed! During his two-day visit, Mr. Carrillo will meet Grade 6 to Grade 9 groups respectively to work on students’ writing pieces and to lead discussions about teen topics through his stories and characters.